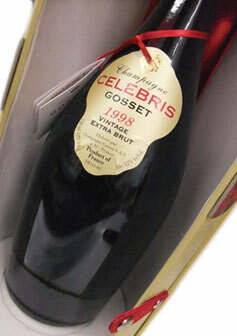 The 1998 Extra Brut Vintage Celebris is a beautifully focused, linear wine that sparkles on the palate with the essence of white peaches, pears, quince and flowers. This medium-bodied yet structured wine offers phenomenal persistence, along with chalky, minerally notes that give the wine its superb liveliness and sense of freshness. Like many wines in this line-up, the 1998 Extra Brut Vintage Celebris is a beautiful, contemplative wine that deserves serious attention. This is a great effort. The blend is 64% Chardonnay and 36% Pinot Noir. The cork is labeled C 7202, and this bottle was disgorged early December, 2007. Anticipated maturity: 2010-2020.